La Paz, Bolivia, was the site for the Bolivian Evangelical Lutheran Church’s (IELB in Spanish) 80th anniversary celebration. The IELB invited the ELCA Montana Synod, its companion, to send a delegation to attend the celebration and visit ministry sites across the country. 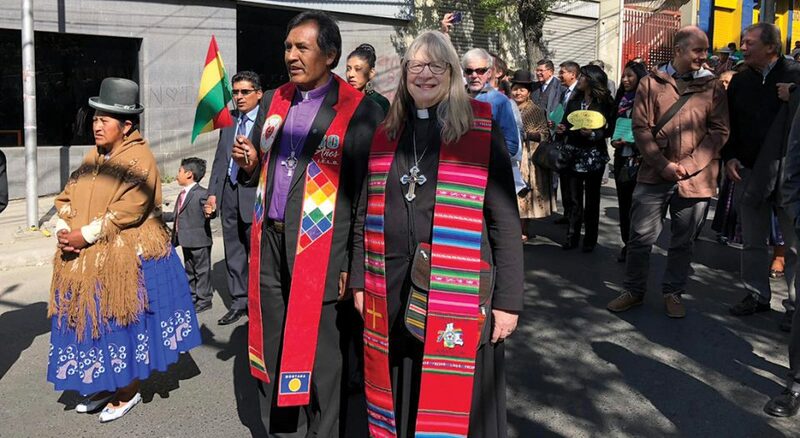 Emilio Aslla Flores (center), IELB pastor presidente, and Jessica Crist, Montana Synod bishop, lead a parade through the streets of La Paz en route to the anniversary worship service (photo to left). 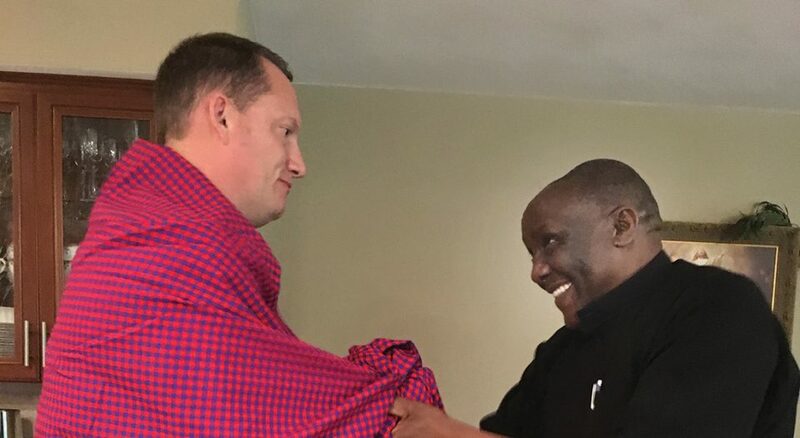 Christopher Ayubu Lukumay (right), pastor of Likamba Parish, Evangelical Lutheran Church in Tanzania (ELCT) North Central Diocese, presents Matthew Gustafson with a shuka (Maasai wrap), during a 2016 visit with the ELCA Northern Illinois Synod. 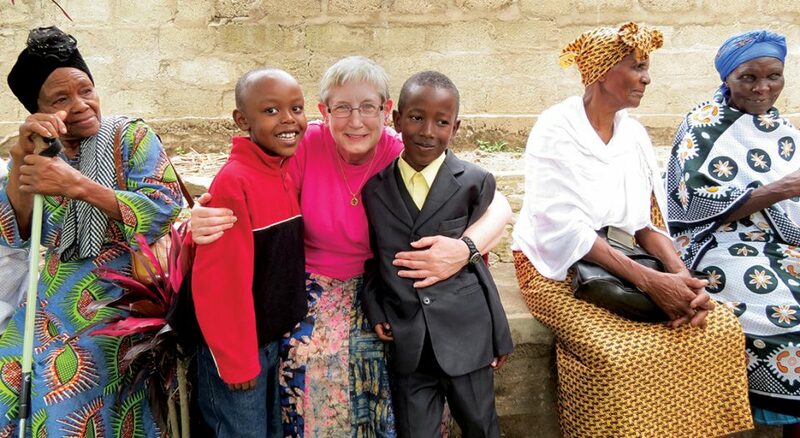 Donna Bright (center), a member of Messiah Lutheran Church, Ralston, Neb., connects with sponsored students and friends from the ELCT Nkuu Kati Lutheran Parish during an ELCA Nebraska Synod trip. 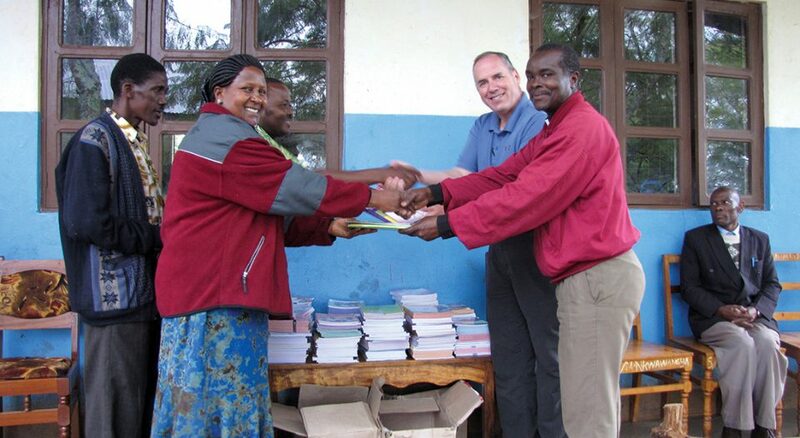 Headmistress Bella Urasa (left) from Nkwawangya Primary School on Mount Kilimanjaro receives textbooks purchased by Messiah from member Martin Malley (back right) and Okully Mwanga (right), pastor of Nkuu Kati, Messiah’s partner parish. 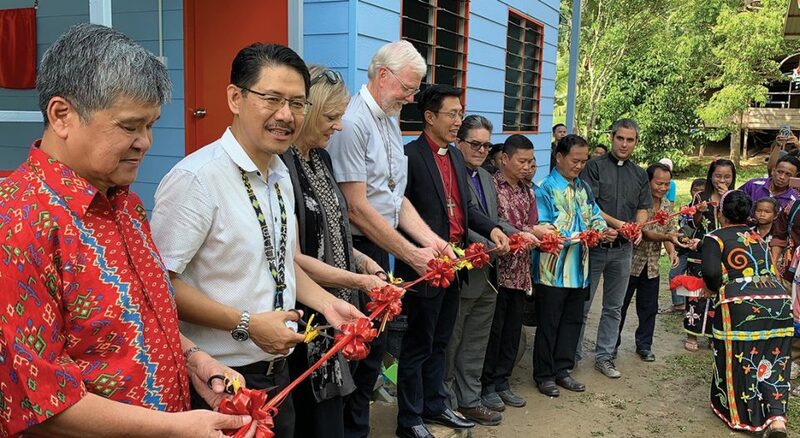 ELCA Pacifica Synod members traveled to East Malaysia in November 2018 to dedicate two new schools of the Basel Christian Church of Malaysia (BCCM). Murray Finck, Pacifica Synod bishop emeritus, greets students prior to the school dedication ceremony. The global church is a reality, not just an abstract concept, for the thousands of Lutherans engaged in ELCA companion-synod relationships. “Companion synods nurture a church that is global, not only the parochial enclave of being together,” said Rafael Malpica Padilla, executive director of ELCA Global Mission. The companion-synod program started soon after the ELCA was formed in 1988. Today it connects synods and their congregations with Lutheran church bodies throughout the world. Sixty-four synods have at least one global-church companion. Because many synods relate to more than one church, there are more than 120 companion-synod relationships. Most participating churches, including the ELCA, are members of the Lutheran World Federation, the global communion of national and regional Lutheran church bodies headquartered in Geneva, Switzerland. These connections are nurtured by prayers, presence and projects. As Lutherans from varied nations pray for, visit, support and encourage one another, they share their gifts and learn new ways to live out their faith. Malley’s anxiety vanished when church council members came out to greet him. “By the end of the weekend, I was so taken with the people and the beauty of the place that I was on fire!” he said. Now Malley serves as the synod’s volunteer coordinator of Tanzania ministries, weaving myriad Nebraska-Tanzania connections into the fabric of the synod and diocese. “Scores if not hundreds” of Lutherans have traveled between Nebraska and Tanzania and built “long-standing personal relationships” over time, said Brian Maas, bishop of the Nebraska Synod. Companion-synod friendships have kindled a global conversation about how to be church in a changing world. 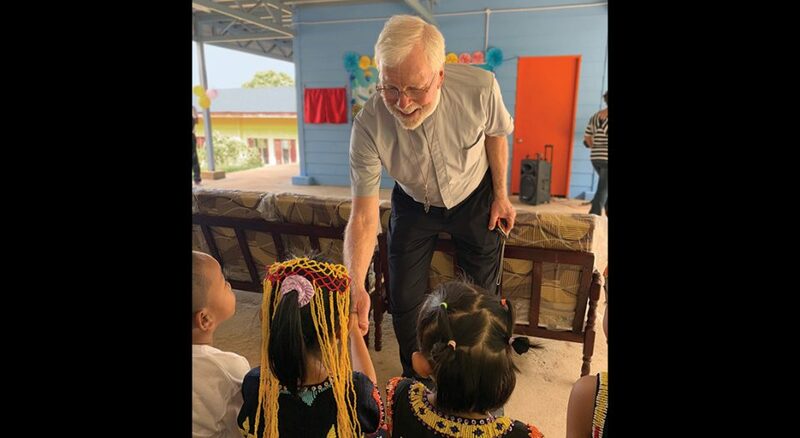 For people from the Montana Synod and the Bolivian Evangelical Lutheran Church, the conversation centers on lay leadership formation. Challenged by mountainous landscapes, vast prairies and a shortage of full-time pastors, both entities turn to lay leaders to fill the gap. Eighty percent of Bolivian pastoral leaders are laity. Montana’s 204 pastors and four deacons are supplemented by 113 lay pastoral associates (LPA). 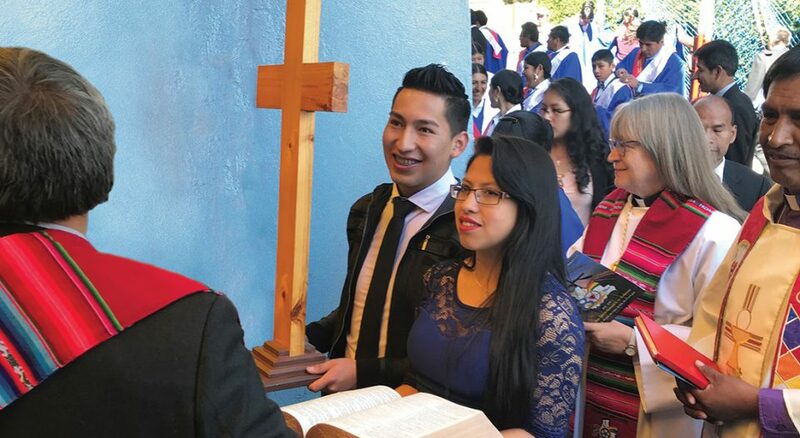 “One of the gifts that God has given our church is the large number of members who feel called to lay pastoral ministry,” said Emilio Aslla Flores, president of the Bolivian church. Exploring their programs, the companions discovered that, whereas Bolivian lay pastors are the primary leaders of their congregations, most Montana LPAs play a supporting role, filling in when pastors are gone. Many LPAs are women. The Pacifica Synod includes Hawaii and six counties in southern California. With a large Asian population and congregations made up of people from Indonesia, China and Japan, a companion in Asia “seemed the right place to go [to create a relationship],” said the synod’s bishop, Andy Taylor. The Pacifica Synod relates to the Basel Christian Church of Malaysia (BCCM). Several visits have nurtured this companion relationship. Money from synod members helped build two BCCM-run kindergartens in East Malaysia. Plans also are underway to connect youth from both companions and to develop sister congregations, one in Malaysia and one in California. Taylor agrees, adding that global relationships can influence “how we do mission locally.” Attending graduation at Sabah Theological Seminary in East Malaysia, he was intrigued by a degree awarded to “people who are not pastors but get theological training and talk about what God does in the world.” Taylor wondered if the ELCA might incorporate this model into its leadership training. Vitality is of particular concern to Lutheran churches in Europe and North America because, as religious affiliation declines in developed countries, more disciples are dying or leaving the church than are being added through birth and outreach. There are lessons to be learned from churches in the former East Germany, which have persisted despite “decades-long discouragement of religious practice under communism,” said Kathryn Kleinhans, dean of Trinity Lutheran Seminary, Columbus, Ohio, at a fall 2018 consultation of six ELCA synods and their German companions. At the consultation, German leaders shared with their North American companions how they are merging, reorienting their work and encouraging young adults to participate. One highlight was a recent YouTube campaign to persuade young people to make their voices heard by running for council positions. On the flip side, Lutherans in the global south (the developing nations of Africa, Central and Latin America and most of Asia), where the church is expanding, have much to teach about vitality and evangelism. For Lutherans dismayed by local decline, there is great hope in Jesus’ command “to go and make disciples of all nations.” Today, through companion-synod relationships, ELCA members heed Christ’s call alongside neighbors from Tanzania, Malaysia, Bolivia, Germany and beyond in an ever-evolving global church. Download a study guide here. For more information, visit elca.org/companionsynods. Basye, a freelance writer living in Mount Vernon, Wash., is the author of Sustaining Simplicity: A Journal (ELCA, 2007).